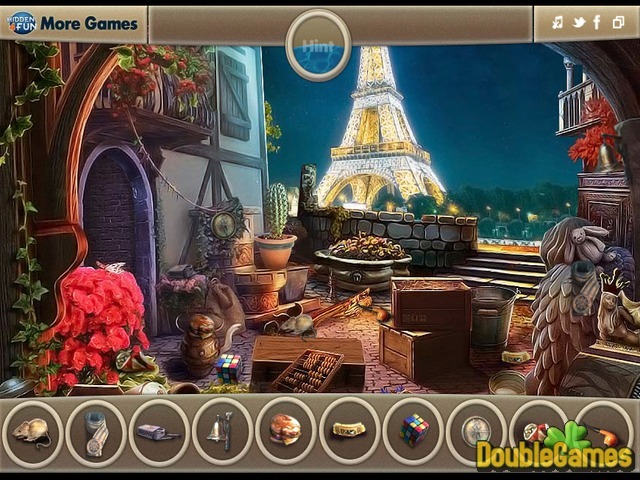 Here comes the second part of the cool hidden object online game Guess The Movie. Again, you get to visit different locations from the movies you know and pick some items that are cleverly hidden. When you finish the level you will have to answer the question and name the movie. If you give the wrong answer you start all over again. When you pass all levels you become a winner and a true fan of movies. Play online Guess the Movie 2 and have a lot of fun. 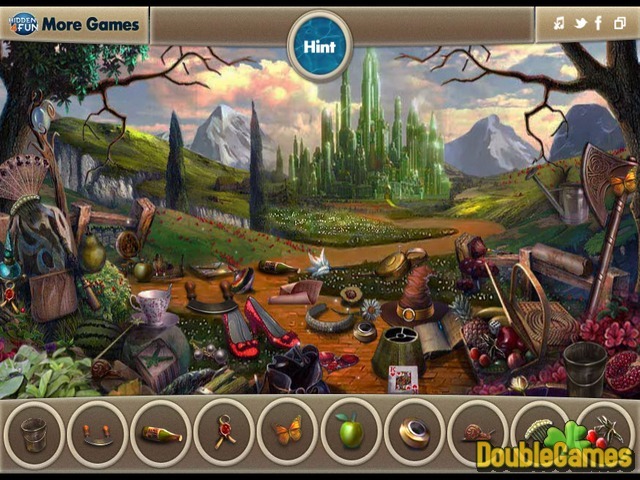 Title - Guess The Movie 2 Online Game Description - Try Guess The Movie 2, a Hidden Object game presented by hidden4fun. 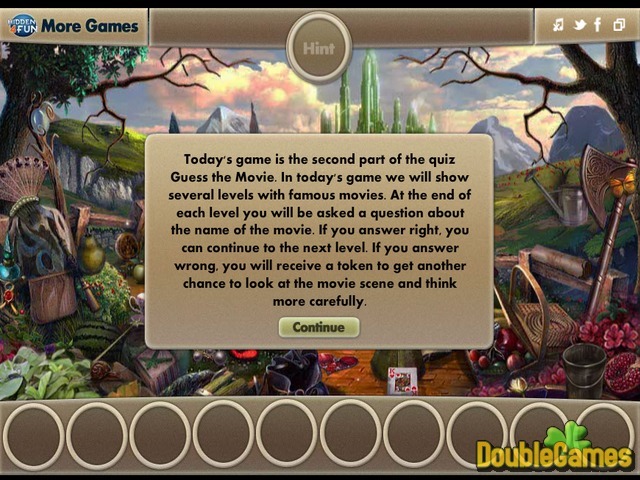 Welcome to the second part of this cool and free hidden object online game about movies.